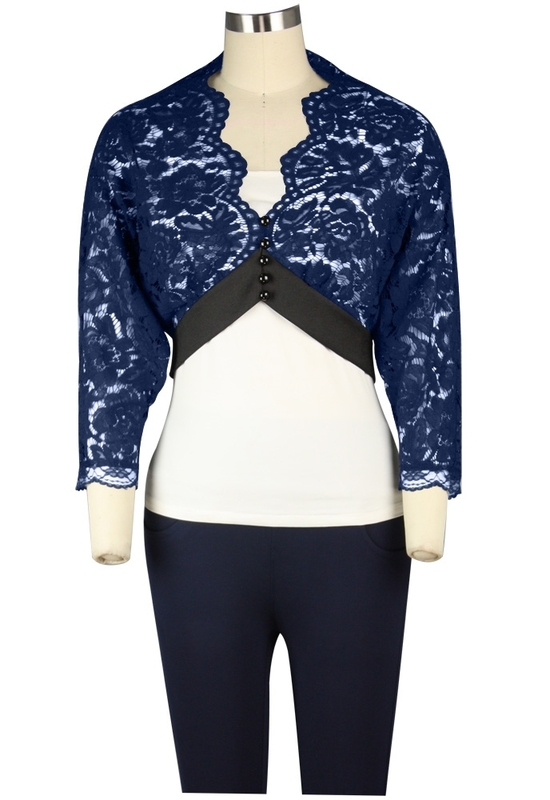 This lace shrug features the scallop lace edge along the collar. The hem of this lace bolero is trimmed with wide matt satin. Functioning buttons and loop button-holes down the front. Standard size approx. length: 20 inches; Plus size approx. length: 23 inches.